Free delivery for ONLINE orders over $250 within 30km Melbourne CBD. Ground floor delivery with 1 driver or apartments with lift and ramp access. More metro deliveries done within 48-72 hours. We deliver Monday-Saturday. $49 Standard Delivery if purchase below $250. T’s & C’s: Deliveries are done by 1 Person to the Ground Floor only or up lifts. Couriers may need assistance if there are a few steps. If it needs to go up stairs please select upstairs 2 Person delivery. 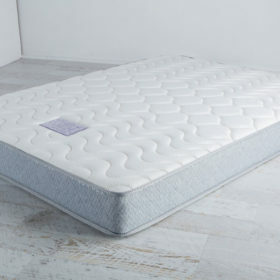 The Four Seasons dual pillowtop pocket spring mattress offers the perfect nights sleep with the longevity of a dual sided pillowtop. 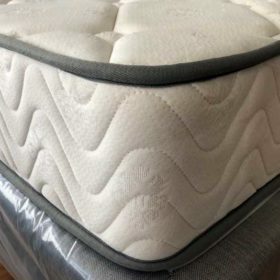 It uses premium grade Titan pocket springs with advanced perimeter support for best support and increased sleeping area. 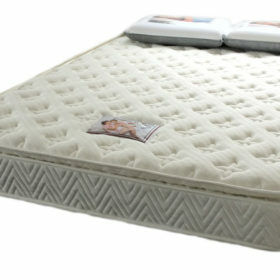 Comfort Pillowtop with comfort foams provide the ultimate sleep sensation, a perfect comfort level. 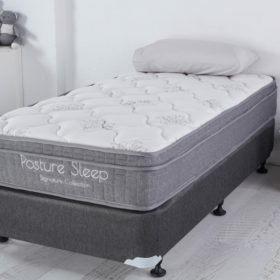 A combination of medium and medium-firm foams melded together to provide a sensational sleeping surface. Latex layer is naturally dust mike resistant. 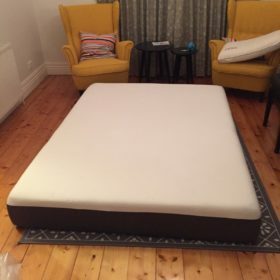 Foam box borders for increased sleeping surface and mattress longevity. Our best sellers go into our Super ZZZ’s range. Check out this icon for our most popular mattresses. Minimal disturbance technology from the memory foam layers provides excellent pressure relief and reduced partner disturbance. Belgian designed stretch knit fabric cover.